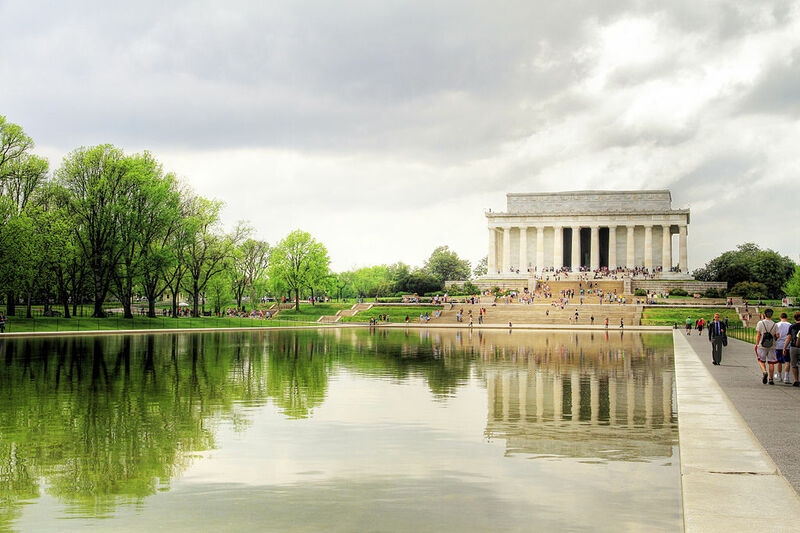 Step Inside the Lincoln Memorial | Top Places to See in Washington, D.C. The Lincoln Memorial is an awe-inspiring monument, built in honor of President Abraham Lincoln. The statue of Lincoln sitting in his throne stands a mighty 19 feet high, making him a towering 28 feet tall, if he were to arise. 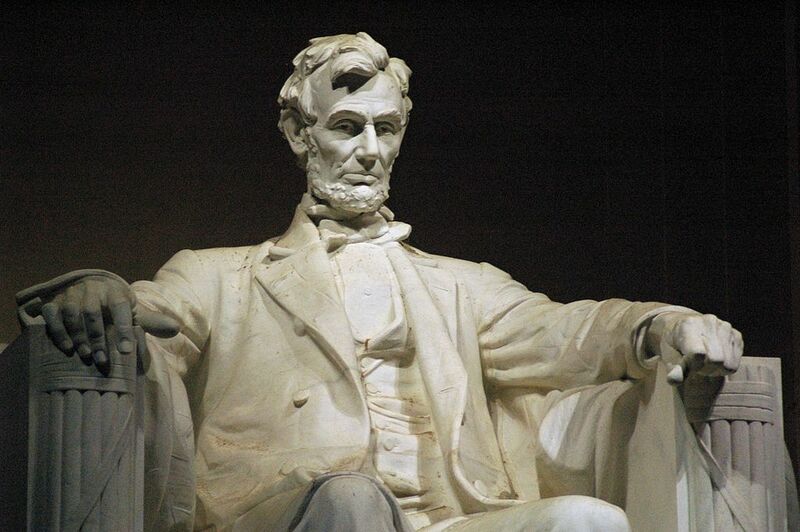 Lincoln’s throne resides inside the structure of a Greek temple of the Doric order. The entire memorial stands 99 feet tall, 189 feet broad, and 118 feet deep. The Lincoln memorial is steeped in symbolism, with the 36 columns around the structure representing the 36 States in the union at the time of Lincoln’s death. Around the top of the building are 48 stone festoons held up by eagles, representing the 48 States in the union when the memorial was built. Below these are the names of the 48 States, with the date of their admittance into the union written in Roman numerals. 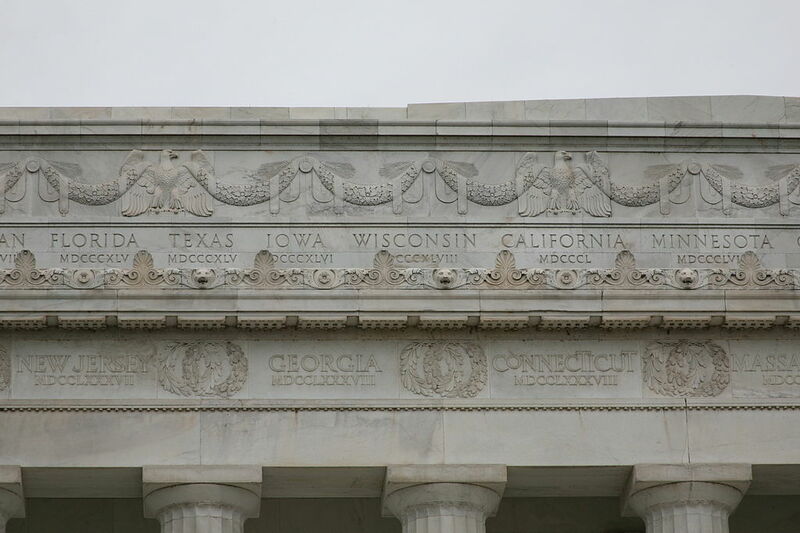 Above each set of columns there is also the names of the 36 States in the union at Lincoln’s death, along with their dates of admittance. 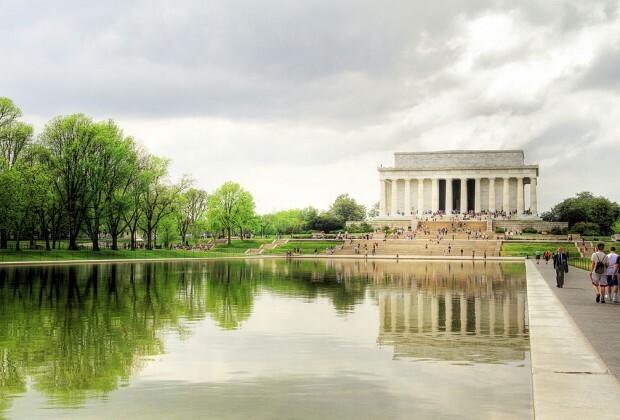 You find the Lincoln Memorial at the end of the reflecting pool, on the opposite side as the Washington monument. The water serves to direct your attention to the memorial, as well as add an aesthetic beauty to the landscape. Several short sets of stairs lead up to the monument, with the monument sitting up on a bit of a terraced hill. As you walk up the steps and enter the memorial, you may be astounded at its sheer, monumental size. 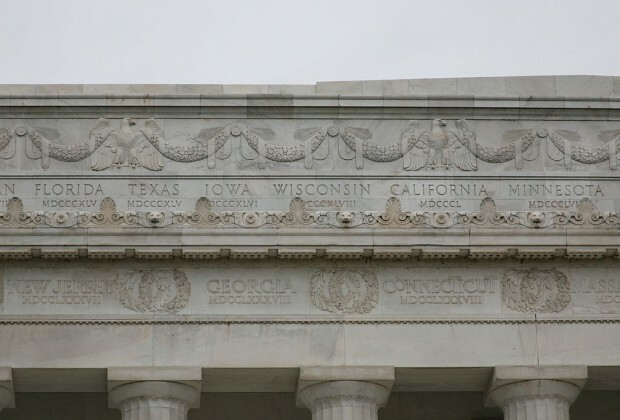 The chambers on either side of Lincoln contain two of his most famous speeches etched in stone: The Gettysburg Address, and his second inaugural address. Above each of these is a mural stretching 60 feet across, and 12 feet high. Each of the murals contains personifications of governing principles & virtues: Unity, Fraternity, and Charity on the north wall, and Justice, Immortality, Freedom, and Liberty on the south. The memorial is famous for being the spot where Martin Luther King Jr. gave his speech, ‘I Have a Dream’, to a crowd of 250,000 people. In 2003—the 40th anniversary of the event—the spot where he stood while giving the speech was engraved in his honor. It’s fairly small, and not especially easy to spot, but you’ll find it if you go up the very center of the steps—it’s at the landing eighteen steps from the top. The Lincoln Memorial is free and open to the public 24 hours a day. 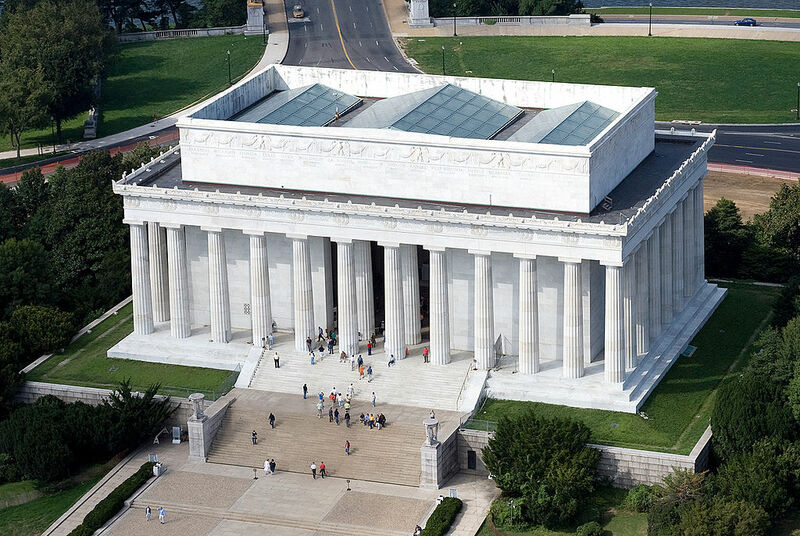 Six million people visit the memorial each year, and in 2007 the American Institute of Architects named it 7th on the list of America’s Favorite Architecture. More information can be found at the National Park Service’s Website or Wikipedia.